Tesla revised its lineup—again—and introduced leasing for the Model 3. EPA Administrator Andrew Wheeler announced that the agency will delay and revise a proposed freeze on fuel economy standards. New ads for the Audi e-tron quattro take on EV doubts directly. And we round up the best deals on plug-in, electric, and hybrid cars this month. All this and more on Green Car Reports. In its latest product shakeup, Tesla stopped orders for the base $35,000 Model 3, making it a software-limited, phone-order-only model, introduced leasing for the Model 3, and made Autopilot standard across its lineup. Insiders report that the EPA may incorporate some smaller fuel-economy increases in the next version of its revised emissions proposal, which has been delayed until perhaps June. Audi is tackling electric-car myths directly with new ads for its e-tron quattro electric SUV. The marketing jolt could be just what the electric-car community has been crying for. 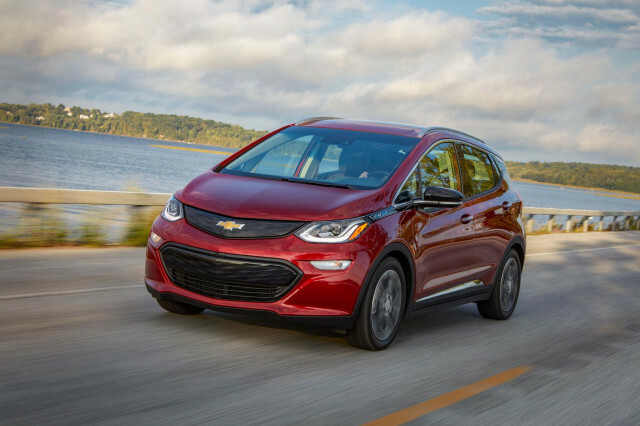 Some new models made our list of best deals for April, and Chevy is offering big discounts on the Bolt EV. Philadelphia has added its name to the roster of cities considering congestion charges to reduce traffic. Finally, Ford has introduced new key-fob technology to foil hackers.